As cold weather persists this season, you may be thinking about getting your pet a heating pad to keep them warm and comfortable. 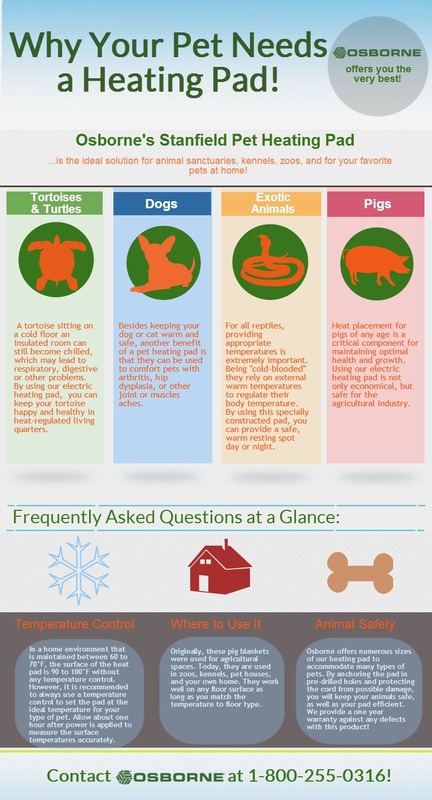 Here we provide an easy, informative visual to Osborne’s Stanfield Heating Pad that includes a how-to-use guide for your pet (whatever it may be) as well as the answers to some frequently asked questions. You may be surprised to find that you can use a pet heating pad throughout the year for some very unexpected animals.